It’s easy to have good intentions about prospecting to a niche market. But as everyone knows, time is sometimes hard to find when you’re a busy real estate agent. You can get started on a slow day and get that first letter in the mail. Then a few new clients come along and days and weeks can fly by without you finding time to get back and mail those letters. Since continuity is the key to success in farming and prospecting, your initial efforts can go to waste. 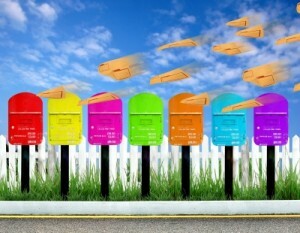 To make sure that every letter in your real estate prospecting letter series gets mailed, try this. First, download your entire prospecting letter set as soon as it arrives. Put the letters in a file where they’re easy to find. Then go immediately and do your personalization, so they’re ready to go. If you’re using a contact management program, enter the appropriate client personalization fields, such as [name], [address], [city], etc. If you’re writing to contacts one at a time – such as FSBO’s you’ve spotted or expired listings you’ve found in today’s MLS reports, go to your letters file, enter the prospect’s name on each letter, and print all of them. 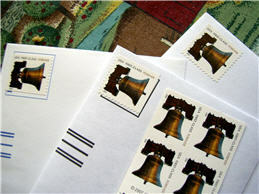 Next, create all the envelopes, addressed and ready except for the stamp. Now sign each letter and put it in an envelope – and write the date when it should be mailed in the corner, where the stamp will go. Create a spot on your desk for these outgoing letters, and all you’ll have to do each morning is check the dates, affix the postage, and drop them in the mail. This whole process, done all at one time, will take a matter of minutes. If you put it off to do later, or try to print and mail one letter at a time, it will not only use up all that “start time” but will create a real possibility that the follow up letters will never go in the mail.